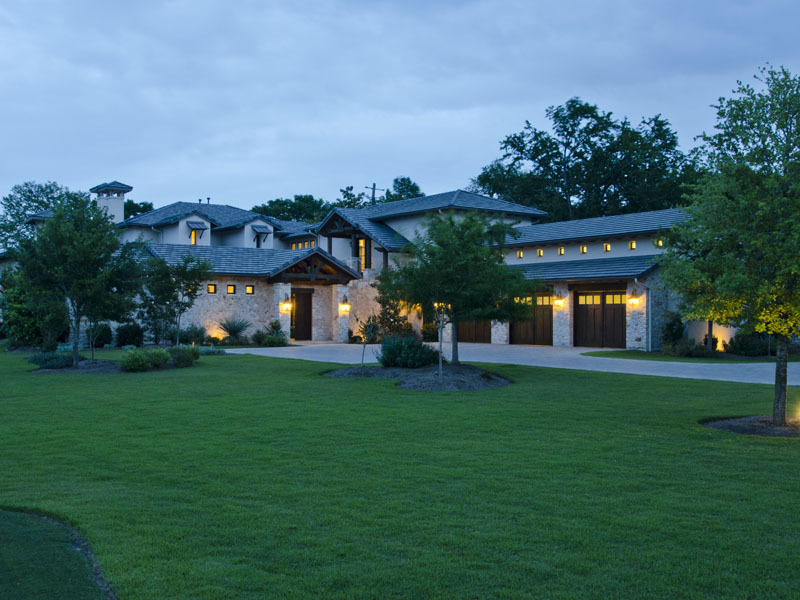 Retired tennis pro Andy Roddick and his wife Brooklyn Decker, just listed their 8,900 sq-ft home in Austin, TX. The massive lakefront home came on the market for a whopping $12.5M, and based on the size, quality and attention to detail, it looks as if it’s worth every penny. According to our friends over at Trulia, this isnt’ the only piece of real estate Roddick and Decker own. However, it is the largest and priciest property in their real estate portfolio. 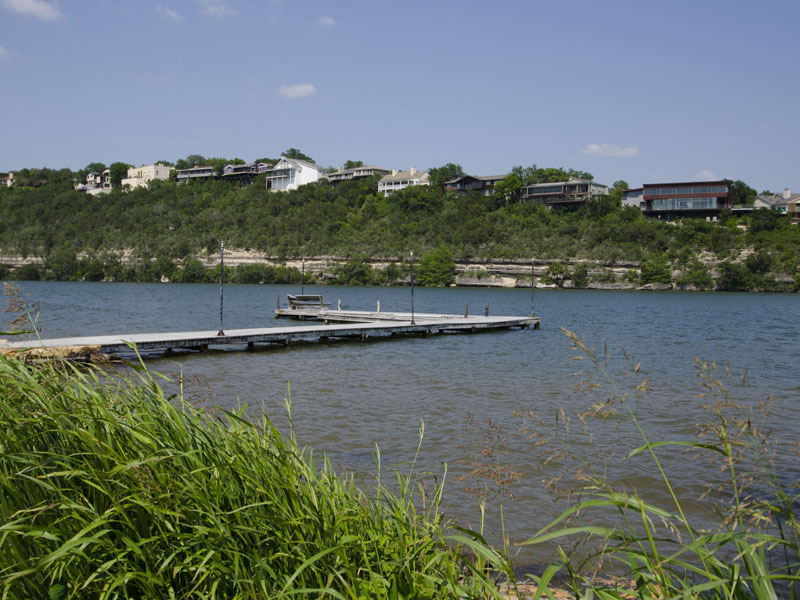 The gated waterfront property is located on a 1.8 acre lot on Lake Austin and comes complete with not only an extremely beautiful home, but also it’s own courtyard entryway, putting green, and modern workout gym. Roddick’s waterfront home includes lush details and amenities weaved throughout, and is fit for anyone who’s thinking of shelling out $12.5M on their new dream home. Such features consist of extravagant stone work and massive wood beams in nearly every room of the house, an elegant study / den, a chef’s kitchen with a large entertaining island and breakfast area, living room with floor to ceiling glass doors, a dining room that shows off some extremely impressive wood carved columns, stone fireplaces, an enclosed viewing balcony, an upstairs landing / sitting area, and a game-room entertaining area with kitchenette, media center, pool and poker table, and built in bunk beds. 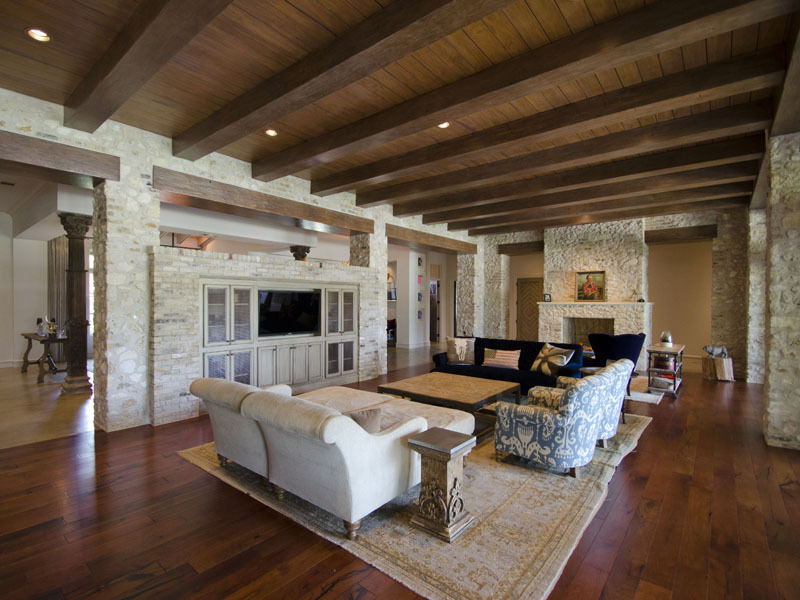 The master suite of Roddick and Decker’s home is truly a relaxing get-a-way and is like none other. It not only comes complete with vaulted ceilings that have exposed wood beams, a sitting area, and automatic black-out shutters on all windows; but, it also offers private His and Her bathrooms. 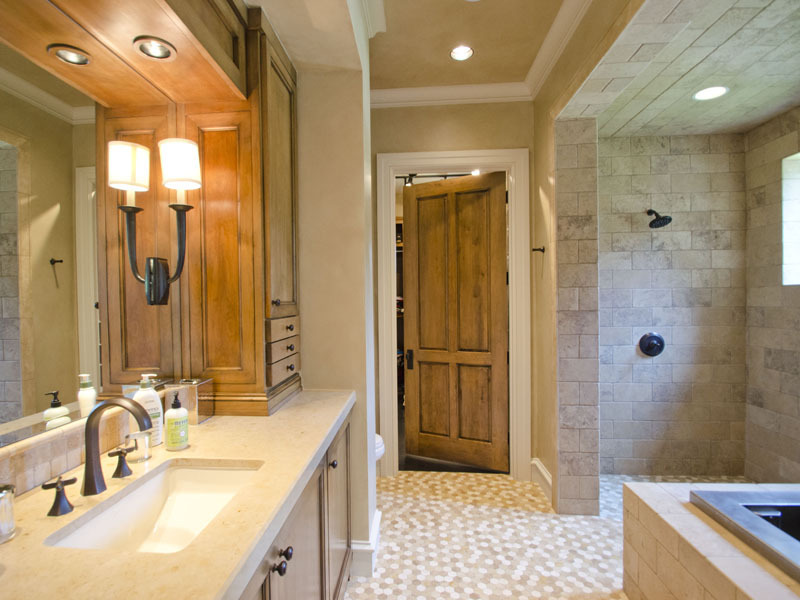 Roddick’s more manly master bath has a walk in shower, custom cabinetry, an ice bath and a personal refrigerator. While Decker’s more feminine and lady-like bathroom features an old-fashioned tub, steam shower, and custom closet with her own washer/dryer. If that’s not enough, to top of this $12.5M dollar retreat, Andy and Brooklyn’s backyard is a place to be enjoyed no matter what the occasion. There’s a covered patio with heat lamps, an outdoor kitchen, a custom infinity pool, and a perfectly manicured yard that leads to the homes dock and boat house, were there is also room to park two jet skis and a boat. It’s currently listed off market by Jonathan Creath of Capital City Sotheby’s International Realty.